10.12.17 :: Categories: Crude Oil Transport. News Types: Press Releases. Riverkeeper and Scenic Hudson will be among the participants in the U.S. Coast Guard’s Hudson River Ports and Waterways Safety Assessment (PAWSA) – involving a series of workshops in November that are designed to gather input into waterway navigation and safety. Riverkeeper Patrol Boat Captain and Vice President of Advocacy John Lipscomb, Scenic Hudson President Ned Sullivan and Scenic Hudson consultant Dagmar Etkin of Environmental Research Consulting were invited by the Coast Guard this month to participate. A Ports and Waterways Safety Assessment is a disciplined technical review conducted by the Coast Guard. During a series of workshops, experts and stakeholders evaluate the safety conditions of a waterway, assessing the risks, existing remediation measures and possible new measures. Following the workshops, the Coast Guard generates a PAWSA Report that can be used to guide policy. Full-day workshops are scheduled Nov. 7-8 in Poughkeepsie and Nov. 15-16 in Albany. “We very much look forward to being part of this discussion, and we’re grateful to the Coast Guard for including us. Members of the public – Riverkeeper included – are just as concerned about navigation safety as the tug and barge industry is. All of us want to prevent accidents. The industry’s driving concern is cost and liability; the public’s is environmental damage. But all of us are entering this discussion seeking the utmost safety. 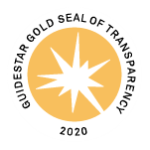 ”We appreciate that the Coast Guard suspended the anchorage rulemaking and has invited Scenic Hudson and other environmental stakeholders to participate in the PAWSA workshops. We welcome the opportunity to find solutions to navigational safety and environmental risks along the river, particularly as the Hudson has increasingly become a thoroughfare for the transport of crude oil and other hazardous substances. We will offer several options for improving safety and environmental protection that will not threaten ecological or community assets. In 2016, the U.S. Coast Guard solicited public comments on an industry request to establish a large number of new long-term anchorages for commercial vessels in the Hudson River — 43 berths in 10 locations from Yonkers to Kingston, comprising more than 2,400 acres. The industry specifically cited the lifting of the U.S. ban on crude oil exports in its rationale for the request. Riverkeeper, Scenic Hudson, and thousands of concerned residents raised concerns about far-reaching environmental impacts, including the increased potential for oil spills, “scarring” of the river bottom from anchors and anchor chains – which could affect endangered sturgeon and other species – and noise and light pollution from certain barges. 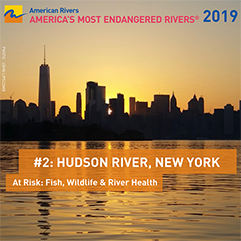 In addition, Riverkeeper and Scenic Hudson found that the proposal lacked any demonstration that additional anchorages were required for safe navigation. Following the unprecedented public response, the Coast Guard suspended further review of the proposal and announced June 28, 2017, that it would conduct the Ports and Waterways Safety Assessment. “We look forward to a detailed, collaborative discussion that is representative of all interests at hand,” Lipscomb said.